Underwater Sight Fishing - Which Lures Work Best? Ever wondered why one lure works better than another? Let's head underwater to see the differences between a variety of swimbaits. As we watch, Tim explains why each bait is effective and how to use it most effectively. We're sure you've noticed that many youtubers throw small swimbaits for their underwater footage. Wondered why? Its very easy to get a bass interested in a swimbait. 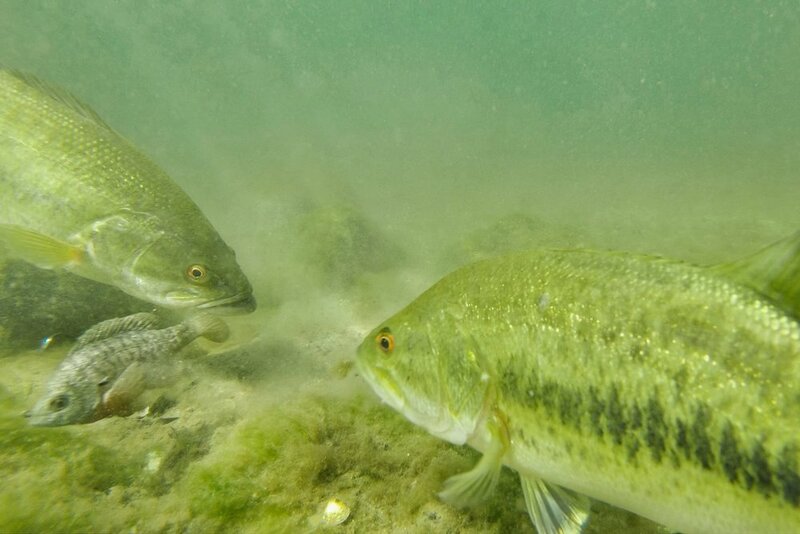 Bass are hardwired to defend their nests against predators. Swimbaits are a perfect imitation of a variety of predators that bass face. However, a swimbait is rarely the best bait for CATCHING the bed fish. For this style of fishing they have an incredibly poor hookup to land ratio. You're much better off using a small swimbait as a tool to aggravate the fish, then using a traditional bait to get the final bite.